Personality: Sasori is known for his impatience (he notes that he does not wish to wait or keep others waiting),which is quite ironic since he has all the time in the world thanks to his puppet-converted body. He has little empathy for his opponents or regard for human life, and he states that he will not feel anything if Chiyo dies from his poison or using her life energy to heal Sakura, as he claims that his heart has become like his puppet body. Despite his cruelty, Sasori also has shown to possess a very down-to-Earth outlook on life, rarely growing worked up over obstacles that come his way. Almost never does he show extreme emotion, and even these instances are short-lived. Description: Sasori used this technique to block the memory of Sasori in his spys mind, so they wouldn't raise suspicions. Eventually the technique stops working, thus restoring their memory and making the spy loyal to Sasori again. Name: Hitokugutsu, 人傀儡, literally "Person Puppets"
Description: Made by Sasori of the Red Sand, a master puppeteer from the Akatsuki. By removing the internal organs of a foe and preserving the body to prevent decomposition, as well as adding weapons and defenses, Sasori can make powerful human puppets. These puppets retain their use of chakra and any Kekkei Genkai that the human host once had. Description: A special technique used by the Third Kazekage. The Third Kazekage studied a host of the One-Tailed Shukaku and learned to imitate the power to control sand. However, when he imitated sand techniques, he used iron dust instead, thanks to his special Magnetic Powers. When Sasori kidnapped the third, Sasori killed him, and turned him into a puppet with his technique. When Sasori used his Third Kazekage puppet, he used the Iron Sand as well and put poison in it for special attacks. The puppet was later destroyed by Sakura Haruno and Sasori's grandmother, Chiyo. When the Third Kazekage developed this technique, he was able to create and manipulate sand like Gaara. Using this he would form the sand into various shapes using his special Kekkei Genkai, magnetic powers, to crush his opponents or even mold the sand, making it a weapon to use. The Iron Sand can also clot up the joints of puppets, making them unusable in battle as long as the Third Kazekage's magnetic field is in function. Description: This technique hardens the Iron Sand into create countless small grains. These grains can then be used to attack simultaneously across a wide range. The magnetic repellent forces will speed up the grains in an instant, making them so fast they can barely be seen. The range and speed of this attack, together with the Iron Sand's magnetic power and poison make it almost impossible to defend against this attack. The grains can also be shaped into sharp needles, increasing their ability to wound or even kill the enemy even more. This attack is especially dangerous to puppet users, since it can render the puppets completely unable to fight. Because the weapon is made out of Iron Sand, the shape can be whatever the user wants, and can even be changed during the fight. This allows the user to create the best weapon for the fight, by taking into account the opponent's abilities and the surrounding environment. As the Iron Sand generates a strong magnetic field, the opponent cannot use any metal weapons or tools. The Giant Spear (巨大槍, Kyodaisō): by forming the Iron Sand into a triangular, spindle-shaped object and tapering it into a sharp point at one end, the user creates a giant spear. The Giant Hammer (巨大鉄槌, Kyodai Tettsui): by forming the Iron Sand into a large rectangular shape, the area of contact is increased greatly, creating a giant, hard-to-evade hammer. Description: This jutsu uses the Iron Sand kekkei genkai of the Third Kazekage to create a gigantic sphere of branching spikes. The user creates two masses of Iron Sand with opposite polarities and then merges them together. This causes the magnetic forces to instantly increase and the repellent force created by the two opposing magnetic fields scatters the Iron Sand across a vast area. The Iron Sand spreads in spikes that branch off irregularly, making it almost impossible to get a clear overview of what is happening. This also makes evading the spikes nearly impossible. However, since the Iron Sand is drenched in poison, getting as much as a scratch from one of the spikes can prove fatal. Even if the opponent has managed to evade getting hit, the Iron Sand spikes will have filled the entire surroundings, cutting off any escape routes. With the opponent trapped, the user is free to attack in person. Description: This jutsu uses strings of chakra from the user's fingers to control puppets like marionettes. This skill is often prepared in coordination with the Body Replacement Technique so the user can quickly switch places with their puppet when necessary. Another useful quality of this skill is the fact that the puppet can take the form of another person, usually its user, allowing the user to trick their enemy into thinking they're fighting a living person. Any number of chakra strings can be used to control a puppet, but users with more skill using the technique can use fewer strings per puppet. Both Chiyo and Sasori demonstrated the ability to control entire puppets perfectly using just one string. 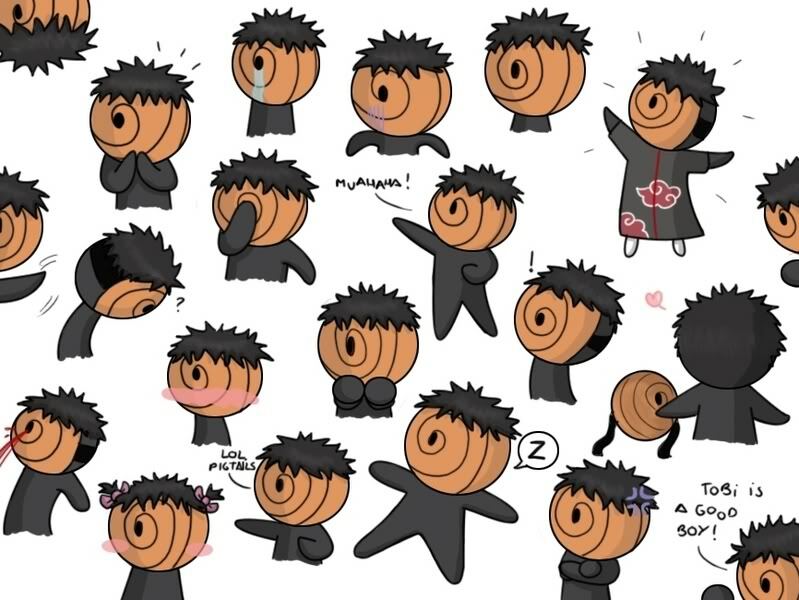 While most puppeteers would normally be able to control ten puppets at most (one per finger), Sasori's self-modification allowed him to control up to one hundred puppets at a time. Apart from being used to control marionettes, the chakra strings can be attached to other objects, allowing the user to control, or at the very least disrupt, other things. In one instance, Kankuro uses chakra strings to trip Naruto Uzumaki when they first meet. In another, Chiyo uses chakra strings to control Sakura Haruno like a puppet. Many of the puppets used (like Kankuro's) were made by Akatsuki's Sasori of the Red Sand, so he knows many of the inner workings such as hidden weapons. Perhaps the technique's only weakness is its reliance to the user manipulating their puppets through the use of the hands, and as such, could be rendered useless if the arms are bound, broken, cut off or otherwise disabled. 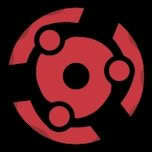 Description: To start this jutsu, Sasori removes one summoning scroll from his back. He then opens his right chest compartment to emit one hundred chakra strings, which reach into the scrolls. From the scrolls, one hundred human puppets emerge, each one a defeated and converted opponent of Sasori. Sasori claims that he brought down an entire country with this jutsu. When in battle against his grandmother, Chiyo, and Sakura, many of these puppets were destroyed, however many had managed to destroy some of the puppets Chiyo used. Description: This techinque makes a clone out of sand like the water clone techinque. This techinque has only been used by Gaara and Sasori once, when Gaara faced Sasuke Uchiha and when Sasori faced Kankuro. There are two noticeable differences seen in sand clones that are not seen in other clones. The first difference is that while the sand takes the form of it's master, it will always take the color of sand. This means that it is almost useless as a decoy. The second difference is that while most clones disappear after one hit, it takes at least 2 hits to destroy a sand clone. This increased sturdiness implies great combat potential, rivalling that of even clones created by the Mirrored Sudden Attacker Technique. Description: From the Third Kazekage puppet's left arm opens several compartments. These compartments are revealed to have summoning seals in them, which calls forth a large number of long puppet arms that can bend and follow the opponent, then crush them with devastating force. The arms also have launchers among them, which can launch poison gas and binding wires with a kunai-anchor. Sasori can detach the entire left arm (with the thousand arms) to regain mobility for the puppet, and a buzzsaw takes its place. History/Background Story: Sasori's complete lack of empathy might have stemmed from his tragic past. When Sasori was around five years old, his parents were killed by Sakumo Hatake, leaving him with no one but his grandmother, Chiyo, to care for him. Chiyo began to teach him the art of making puppets, and Sasori soon proved to be a born natural. He began to make puppets at the age of five, and even made puppets of his parents to get rid of the terrible loneliness he felt. Sasori, later infamously known as Sasori of the Red Sand, created many ingenious puppets, including the ones now owned by Kankuro. Later, he became missing-nin when he left Sunagakure twenty years before his introduction, but the background to his crimes is unknown but is presumed due to being found experimenting on people in an attempt to create human puppets. Flashbacks seem to indicate that his descent into darkness started when his parents died. As mentioned above, Sasori went so far as to simulate being with them by turning the Sand Village's malfunctioning puppets into puppets of his parents. This effort failed, (the puppets cracked) and he abandoned the puppets, although Chiyo kept them safe and upgraded them so they could be used in battle. Sometime after leaving the village, Sasori joined Akatsuki and was eventually paired with Orochimaru. After Orochimaru left Akatsuki, Sasori was teamed up with Deidara, though he always carried a grudge against his former partner. He sent Kabuto Yakushi to spy on Orochimaru, but Orochimaru dispelled Sasori's jutsu and convinced Kabuto to join him. 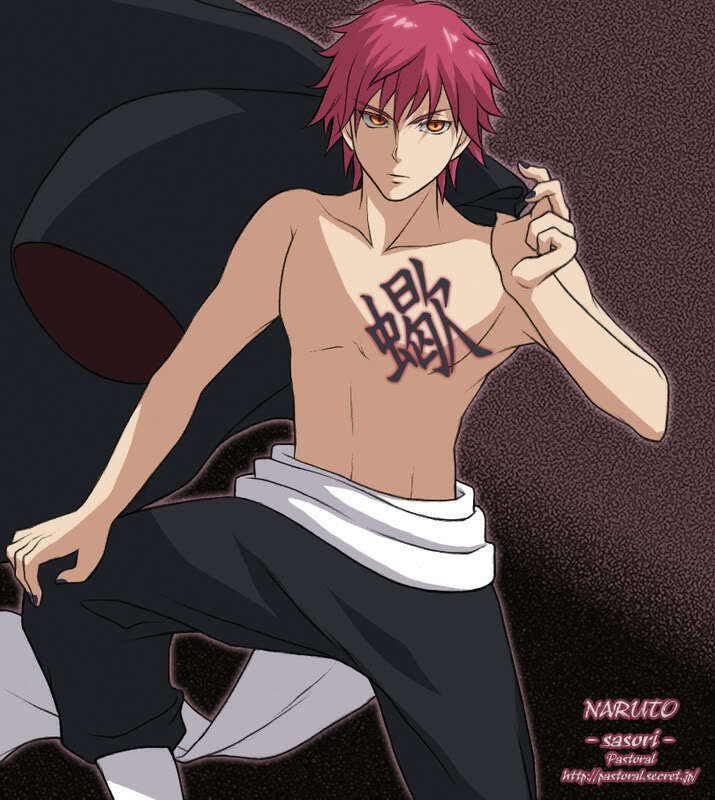 Sasori is also shown having numerous underling and spies in many nations. Such as Yura, Mukade, and Kabuto. At one point, Sasori abducted and killed the Third Kazekage, converting the Kazekage's body into a puppet.